Melkbos on D'Beach B&B and Inn is an ideal and extremely appealing base from which you, and your loved ones can enjoy Melkbosstrand & explore the history of Cape Town, the wine lands & nature reserves & the very popular vibrant night life in Cape Town. Melkbos on D'Beach B&B and Inn is an ideal and extremely appealing base from which you, and your loved ones can enjoy Melkbosstrand and explore the history of Cape Town. Highly Recommended by the AA, overlooking Table Mountain & Robben Island is one of the greatest beaches at the start of the popular Cape Town West Coast. Here lies the quaint sea side village of Melkbosstrand. This snow white sandy beach village is peacefully situated 35 km outside of Cape Town. It offers hrs of beach strolling, surfing, marvelous sunsets & the entertainment & variety of cuisine offered by the local restaurants & pubs, all a mere walking distance from each other. 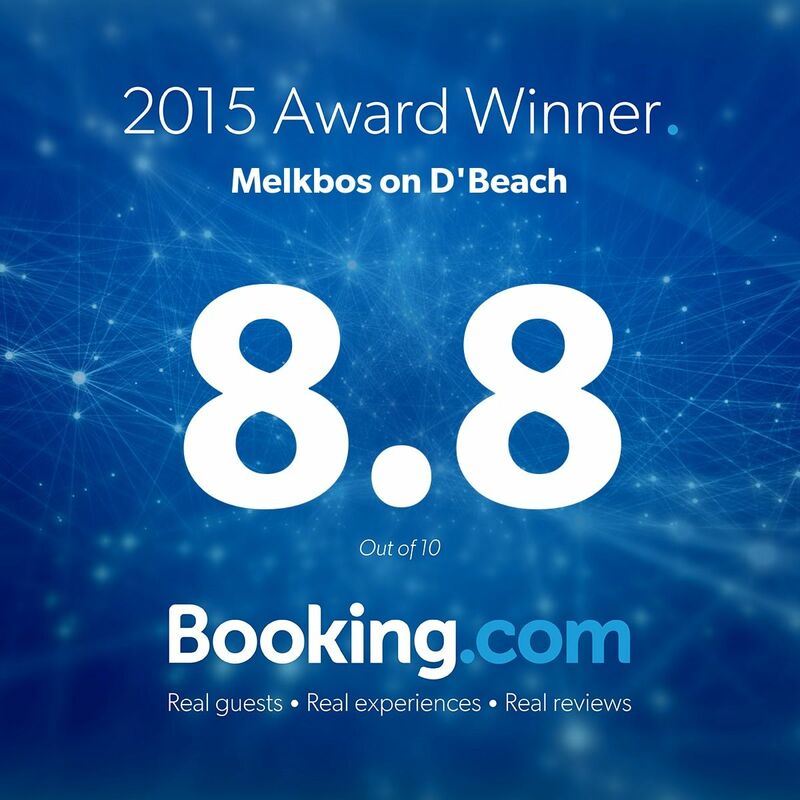 Melkbos on D'Beach offers special accommodation packages tailored specifically to businessmen and specialist contractors to Eskom’s Koeberg Power Station, which is situated 3km from our guest house. Wake up to our amazing breakfast which is included with your stay & indulge in our lunch time & barbecue braai menu which you can order & plan with our Chef. He will ensure that you will have a palatable experience & won’t leave without tasting the West Coast cuisine. We look forward to having you in our home.